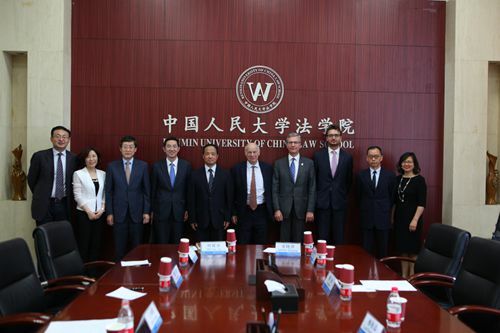 On the afternoon of May 26, 2016, David Neuberger, President of the Supreme Court of the United Kingdom, visited Renmin law school and Center for Common Law, together with Mark Ormerald(Chief Executive of the Supreme Court of the United Kingdom), Sun Jin(Deputy Director Foreign Affairs Bureau of the Supreme People’s Court), Zhou Lingling(Division Chief of Foreign Affairs Bureau of the Supreme People’s Court) and Felix Roberts(Second Secretary of British Embassy). Wang Liming (Managing Vice President of Renmin University), Han Dayuan (Dean of Renmin law school), He Jiahong (Director of Center for Common Law), Shi Yanan (Deputy Dean of Renmin law school), Jiangdong (Assistant Director of Center for Common Law), and Li Zhen(Vice Director of the International office) welcomed them at Room 205 of Mingde Law Building. Prof. Wang Liming first expressed sincere gratitude and warm welcome to the arrival of Lord Neuberger. Then he introduced the basic situation of our school and the development of Center for Common Law. 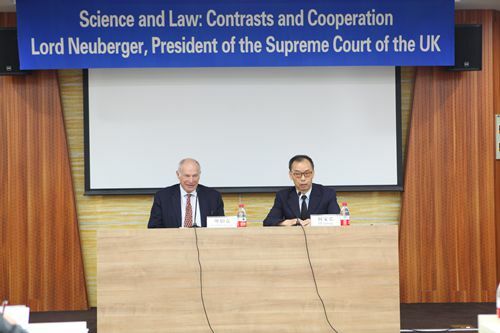 Lord Neuberger first expressed appreciation for the warm welcome from Vice President Wang and Dean Han. 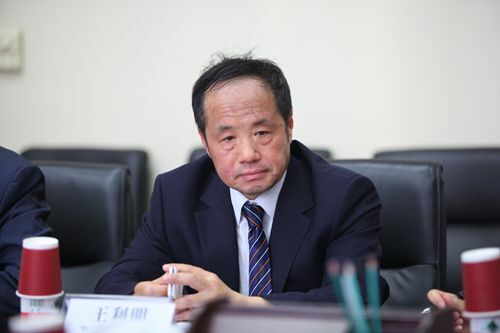 He said he was glad to have academic communication with Renmin law school. He also complimented our school on the result of education and study of common law. 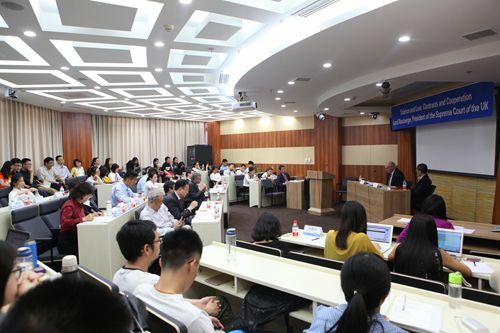 Dean Han introduced we were continuously trying to communicate with other law schools in the world and strengthen the cooperation on common law, aimed to promote the construction of China,s legal system. Later, Lord Neuberger appeared on the “Justice Forum” and gave a lecture titled, “Science and Law: Contrasts and Cooperation”. Mark Ormerald, Deputy Director Sun, Division Chief Zhou and Felix Roberts were at present. Deputies from No. 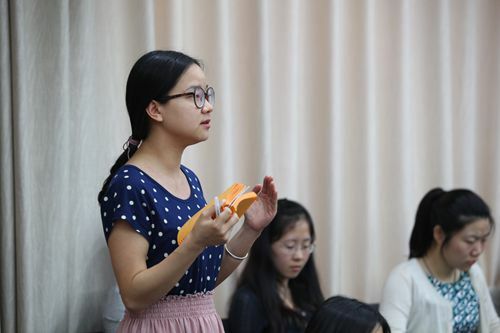 4 Intermediate People,s Court of Beijing Municipality, Dean Han, He Jiahong, Shi Yanan, Jiang Dong, Zhu Yan, Wang Chunyan, Yu Lvxue, Ding Xiaodong, Zhang Wenliang and other teachers and students were also at present. Prof. He Jiahong host the forum. During the speech, Lord Neuberger mentioned that his interdisciplinary study which includes science and law stemmed from his early studying on chemistry and strong interest in science. Then Lord Neuberger introduced his research from the perspectives of philosophy and practice respectively. Firstly, from the perspective of philosophy, Lord Neuberger analyzed the similarities and differences between legal thinking and scientific thinking. He explained that they generated different kinds of answers for questions. There usually existed objective, arguable solutions for scientific questions. But for legal questions, their answers’ correctness was hard to be proved. Their methodologies for solutions were different too. Scientific research required absolute ration which firstly analyzed the fact, then brought out hypothesis, finally proved scientific laws through experiments. Law was influenced by ethic. When solving legal problems, both parties would focus on the existing rules, then applied them to evidences and facts. Finally statements of a case were formed and were decided by judges. Many scientific laws which had been proved were contradicted with common sense but judges often relied on common sense to make a judgment. Secondly, from the perspective of practice, he explained that patent was an example showing the relation between law and science. When considering a patent’s creativity, originality or infringement of other patents, judges often relied on expert witnesses’ scientific demonstrations. Expert witnesses from two parties often presented contradictory scientific arguments, which brought problems to judicial proceedings. The court would set up some rules to reinforce the independence of expert witnesses. For example, both parties could jointly submit a guidebook in order to explain scientific laws and principles in question. The court would also engage independent expert witnesses too. Lord Neuberger suggested that a judge could get knowledge of scientific information with the help of expert witness before a trail, which would relieve their pressure during the trail. He also agreed that science and law are just like two copies of DNA, although they are different form each other, they worked well only when they cooperated with each other. On the basis of the lecture, the students at present came up with some questions about the influence of judgments of European Court of Human Rights on the trial in UK and the difference in the expert witness’ testimony. 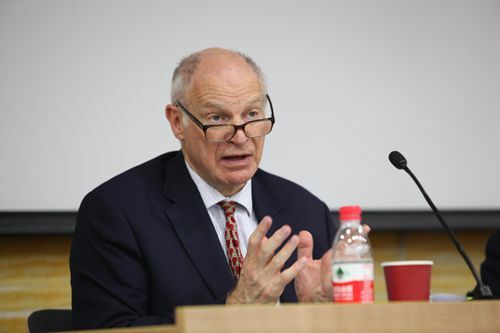 Lord Neuberger praised the English and professional level of students in Renmin University. Dean Han expressed sincere gratitude for the speech, hoping Lord Neuberger could visit and communicate with students again in law school. 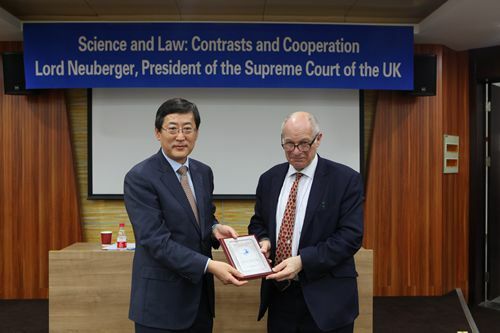 Finally, Dean Han presented the poster of the lecture and a commemorative plaque to Lord Neuberger, while Prof. He Jiahong presenting the English version of his novel.